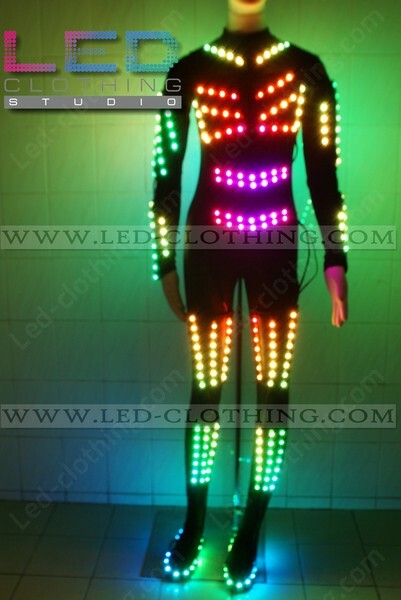 Halloween scary Smart RGB LED light costume | LED Clothing Studio Inc. 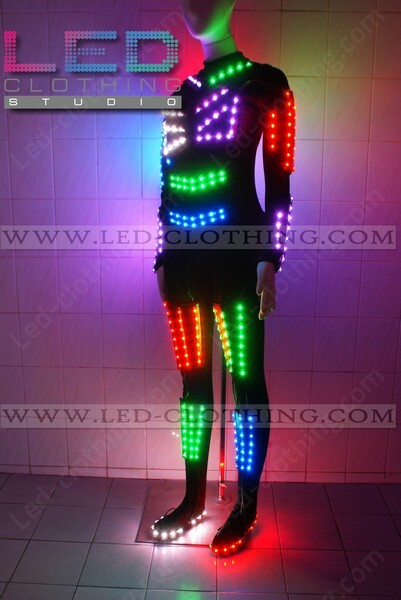 Still looking for an outfit for a halloween night? 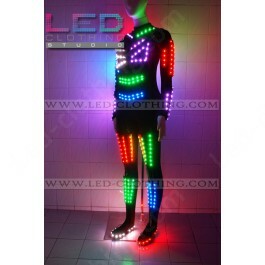 Sheath yourself up in our halloween scary RGB LED light costume and and that's gonna be a hell of a walk in the park. 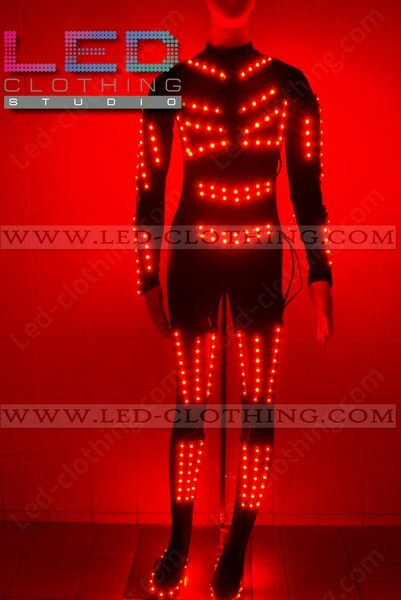 Designed as a part of our wearable technology line Halloween scary smart RGB LED costume will be a dazzling feature to any night show or performance. 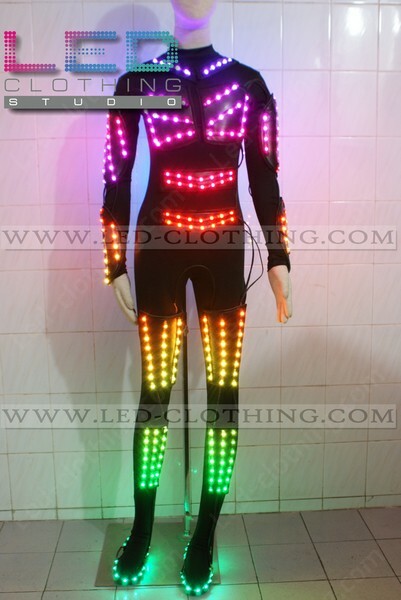 The costume features an elastic fabric jumpsuit and a high end RGB LED strip outlining a silhouette and sits just well due to a bodycon fitting. 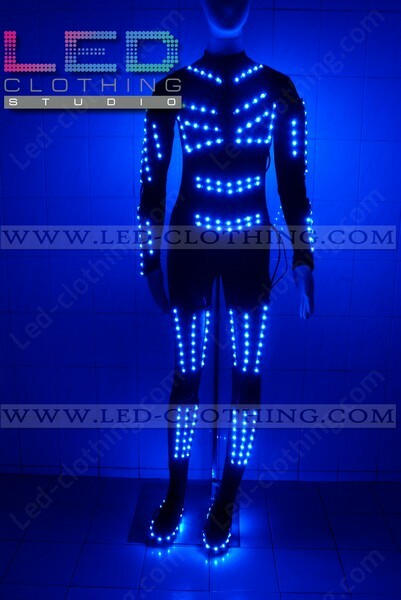 Over 250 superbright LEDS are involved in creating rad luminous effects and no doubt will help you stay in the limelight, try it out!